Midnight Films Production - 102 min. 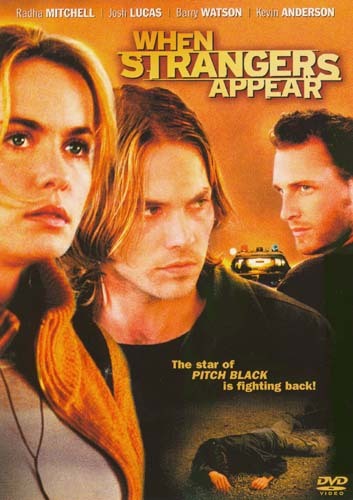 Principal Cast: Radha Mitchell, Josh Lucas, Barry Watson, Kevin Anderson. Writer: Scott Reynolds; Director of Photography: Simon Raby; Editor: Wayne Cook; Original Music: Roger Mason; Production Design: John Girdlestone; Producers:Gary Hamilton, Sue Rogers; Director: Scott Reynolds. Beth opens her roadside Oregon diner expecting another slow day, but waiting for her is a bleeding drifter on the run from three surfers who eventually show up and Beth must decide whose story she should believe and thereby trust. It was filmed in and around Foxton on a low budget. New R1 NTSC DVD copies can be purchased for under $10us. R2 versions are available at about 13eur. Although R4 version have been available, as of May 2008 no known sources for purchasing new copies. The R1 DVD is presented as a flipper 2.55:1 anamorphic or 1.33:1 pan & scan versions with the soundtrack in 5.1 dolby digital or 2.0 dolby English or 2.0 French. Subtitles available in English, French, Spanish, Chinese, Korean, Portuguese and Thai. "Strangers" trailer plus 4 other trailers are on the disc as well as Filmographies of the director and principal cast. The R2 and R4 versions are presented 1.78 with 16x9 enhancement and 5.1 dolby digital sound.